Compress your video to our listed video specs. Gather video descriptions, trailers, video artwork, product descriptions, and social media accounts. Select Transactions (TVOD) from the dropdown, and enter your name, email, password, project name, & country. Once signed up, you will be taken to your Vimeo OTT Admin where you manage all aspects of selling on Vimeo OTT. 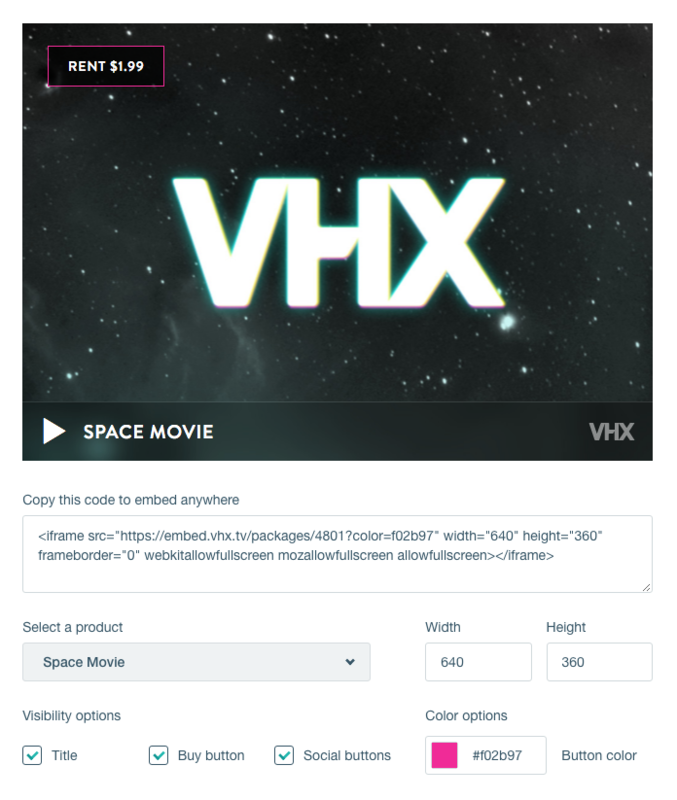 As a seller, you must be in one of these 18 countries to sell on Vimeo OTT. If you are not, we recommend you check out Vimeo On Demand, where you can sell from any country! Visit the Videos page under the Content tab of your Vimeo OTT admin and hit the Upload Videos button. You can upload single videos or videos in bulk. Just drag & drop them from your computer! Once uploaded, they will be processed to the proper delivery formats and we will email you when they are ready! Once processed, you can click into each video to add titles, descriptions, artwork, subtitles, control comments, and view stats! Create a Purchase / Rent Product. Head to the Products page in the Admin and create a new Purchase / Rental / Preorder product. Add a title, description, trailer, & artwork. Set your pricing - purchase price, rental price - You can do both or either one separately. This is also where you enable Preorders for purchase products. Enable Pay What You Want here as well for the purchase product. Add your videos and extras to the product and an optional custom email receipt message. NOTE: You can make many different products for rental/purchase. You can package per video, or altogether. Here's a nice article on this. Visit the Billing page underneath the Account tab of the Admin and add your financial info to Vimeo OTT to get paid! Design your hosted Vimeo OTT site OR embed Vimeo OTT on your current site. Select a theme for your Vimeo OTT site via the Website Settings page under the Distribution tab, Platforms page. Customize your chosen theme with our robust theme editor. 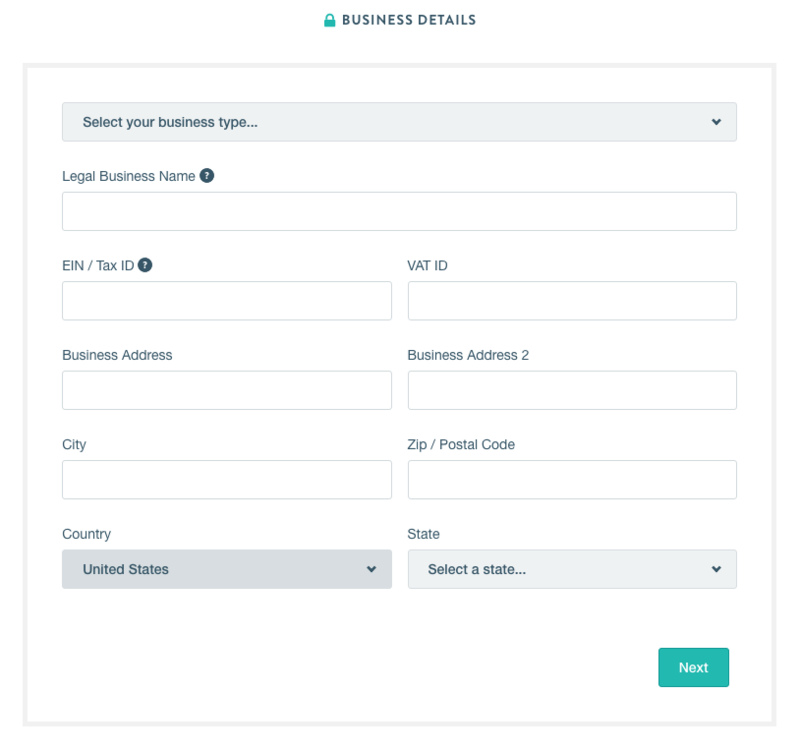 You can add logos, images, customize colors, add mailing list call outs, and even add your own custom CSS. Grab the embed code for your Product trailers the Distribution dropdown, then Promote page. Congrats! Your videos are now for sale! Spread the word! 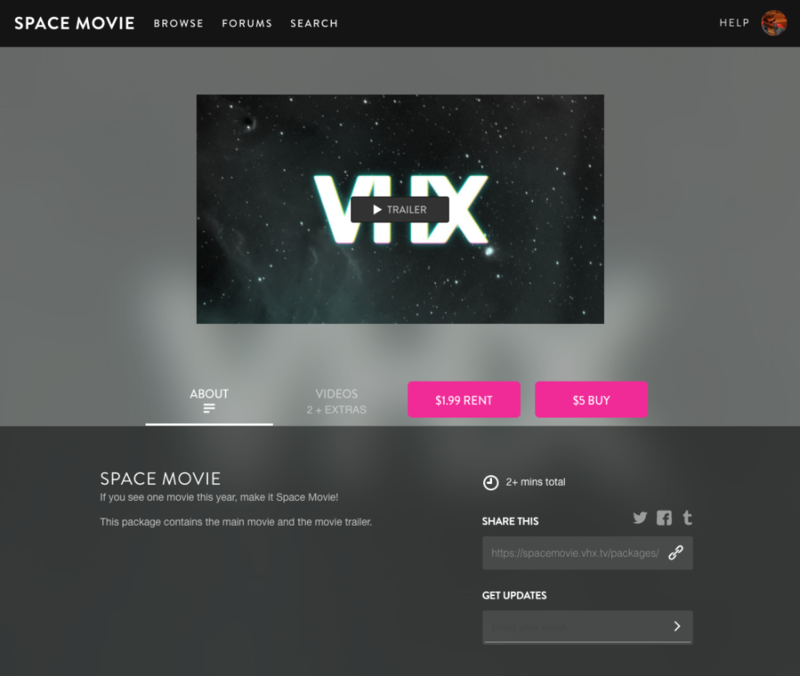 Your site is now live and your videos are for sale/rent. Post to your blog and share your project with the world. Promote your progress posts through social media, press, your mailing list, your contacts (family, friends, related groups & organizations). Create Coupons, send free access or send Screeners - all located on the Promote page via the Distribution dropdown. Post your Vimeo OTT site link on Tumblr, Twitter, Facebook, or within your YouTube videos. Track your sales! See all traffic, sales, and subscriber activity in real time on your Vimeo OTT Dashboard.